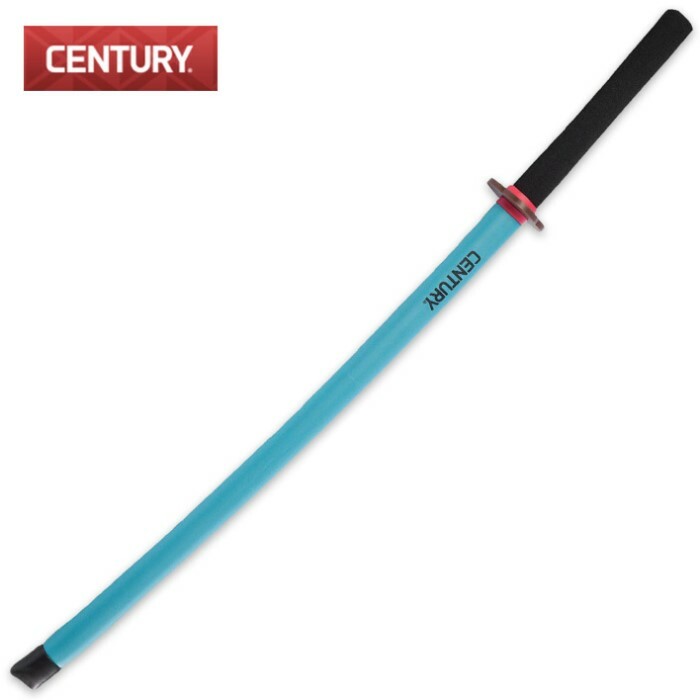 22-Inch Foam Bokken - Blue | BUDK.com - Knives & Swords At The Lowest Prices! Wield power and finesse with this shock-resistant blue foam bokken. Constructed with a wooden core and kanji detailing, this bokken features a cushioned handle and reinforced tip padding. It is perfect for training either at home or at your martial arts school. It will stand up to years and years of hard training.